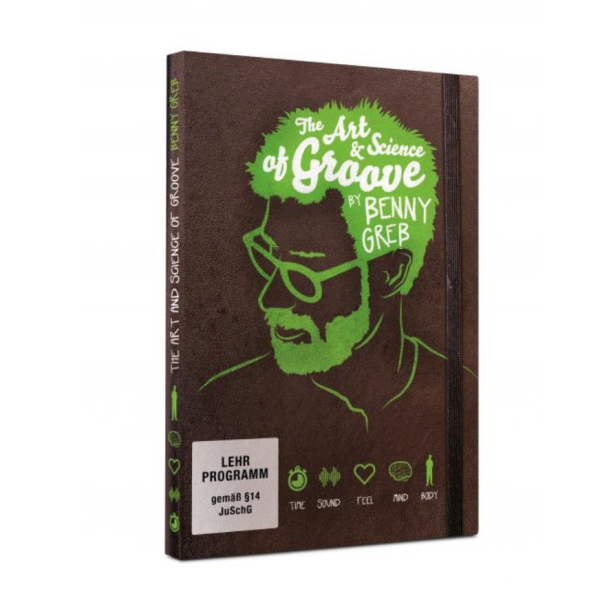 The Art and Science of Groove is the first ever collection of vital tools and exercises designed specifically to enhance your playing with a positive groove, time after time. Benny Greb introduces the five core elements of Time, Feel, Sound, Body and Mind, offering straightforward solutions that can be applied to any musical style in order to generate a solid and consistent groove, leaving nothing to luck. With a production value totally exceptional for this genre, including illustrations and special effects, this DVD is a ‘must have’ addition to any drummer’s library. You simply cannot afford to miss the lessons that Benny teaches here. Bonus features – including a comprehensive ‘Tuning Lesson’ and ‘Making Of’ footage – provide behind the scenes insights to this truly inspirational DVD.